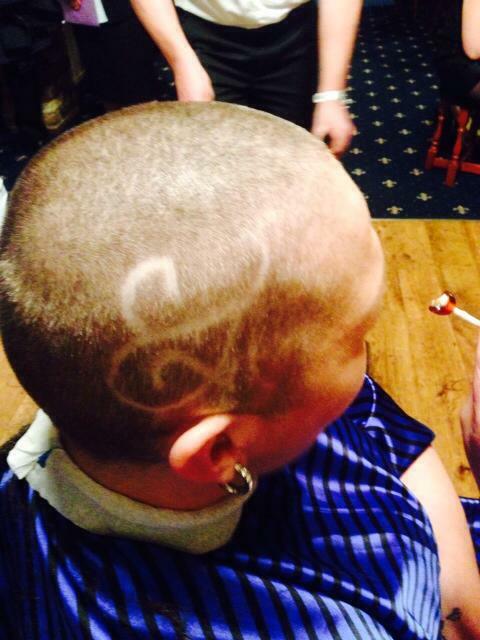 There has been a steady stream of fantastic fundraising for us recently; as always we are so grateful for your efforts, and proud of everything you achieve in our honour. Firstly congratulations to Caroline Searle, who completed The Great South Run in 1.31 hours in aid of The Wedding Wishing Well Foundation. 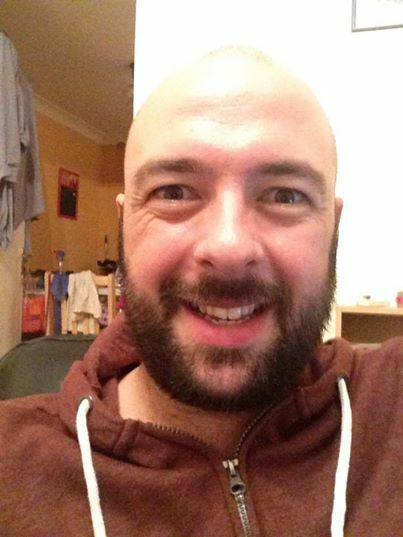 If you would like to donate to Caroline’s fundraising efforts, please click here. Thank you, Caroline – we are so proud of you. 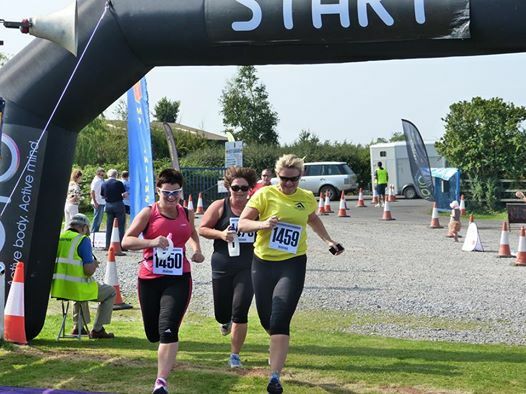 We would also like to say congratulations and thank you to Bev Bishop, who has raised a fantastic £456 by running the Bridgwater 5km last month. You’re a star! 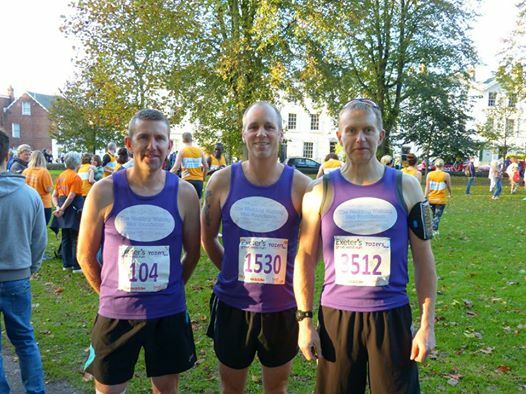 While we’re on the subject of running, we would like to say a huge congratulations and thank you to Justin Jones, Paul Huggett, and Mark Flynn, who ran the Great West Run in times of 1.36.4, 2.02.11, and 1.41.48 respectively, while raising money for us. An amazing effort, guys! An honourable mention should go to Oliver Huggett, who completed his own half marathon by running with his school as well as joining in with the last mile of the Great West Run. At just nine years old, this is an amazing achievement, and he was still smiling at the end. Well done! Finally, a big thank you to those who organised and attended the Feel Good Charity Day in Maidenbower, which has so far raised £1,100 for The Wedding Wishing Well Foundation. We hope you had an amazing day! If you enjoy running, completing obstacle courses, or a bit of both, then the RockSolid Race is for you! Taking place at Escot Park in Exeter on 21st March 2015, the course covers 5k, 10k, or 15k, and is the perfect opportunity to get a little muddy while raising cash for a worthy cause. 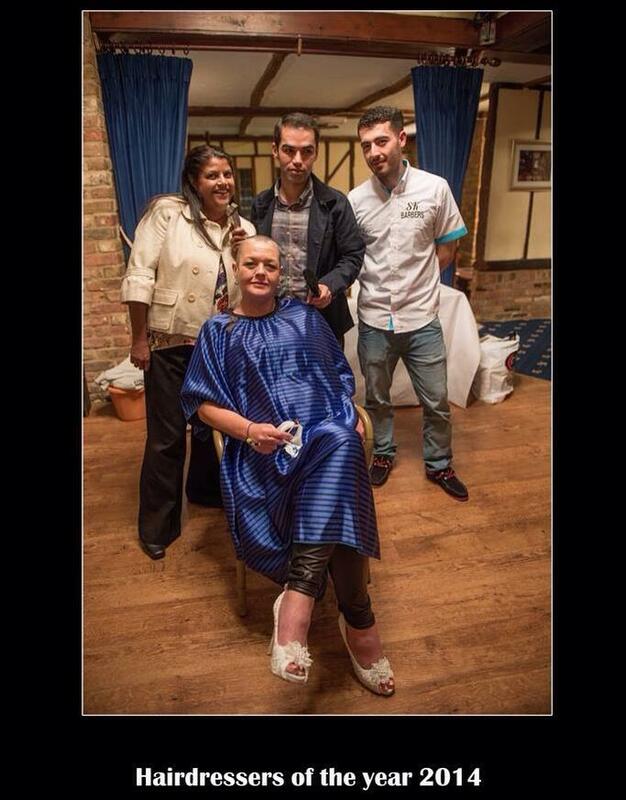 If you would like to join The Wedding Wishing Well Foundation’s team, please email info@weddingwishingwell.org.uk. Please click here to find out more. La Boutique, The Wedding Wishing Well Foundation’s own bridal gown shop, is extending, and invites you to book your dress consultation today. Appointments are filling quickly; don’t miss out! 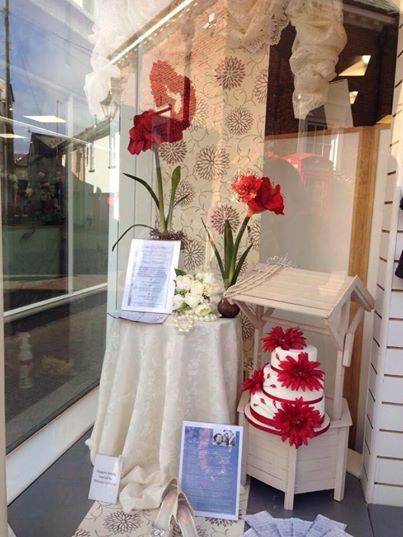 Offering a huge range of new, ex-sample, and pre-loved wedding gowns and accessories, La Boutique is a wedding shop with a difference. Not only does the boutique offer amazing discounts on some well-known, and loved, designers – up to 75%, in fact – but all profits are donated to The Wedding Wishing Well Foundation, ensuring that brides-to-be can help others to fulfill their dreams of a wedding day. All dresses, ranging from sizes 6-24, are priced under £500, while a selection of tiaras and headpieces is available. Those visiting the boutique will be given a full 2-hour appointment, allowing them to fully enjoy their dress shopping experience, as well as trying on many of the stunning gowns on offer. The consultants are always on offer with guidance, and are specialists in helping those who have had surgery on their breasts; it is their mission to match every bride with her perfect wedding dress. If you are getting married and would like the opportunity to purchase a gorgeous wedding gown for under £500, please contact La Boutique and book yourself an appointment with one of the store’s consultants. We are thrilled to announce that Naomi has been shortlisted for yet another accolade – we’re quite sure she’ll run out of space soon! The Tesco Mum of the Year Award honours the extraordinary achievements of some truly amazing mothers, and will be celebrating its tenth year in 2015. 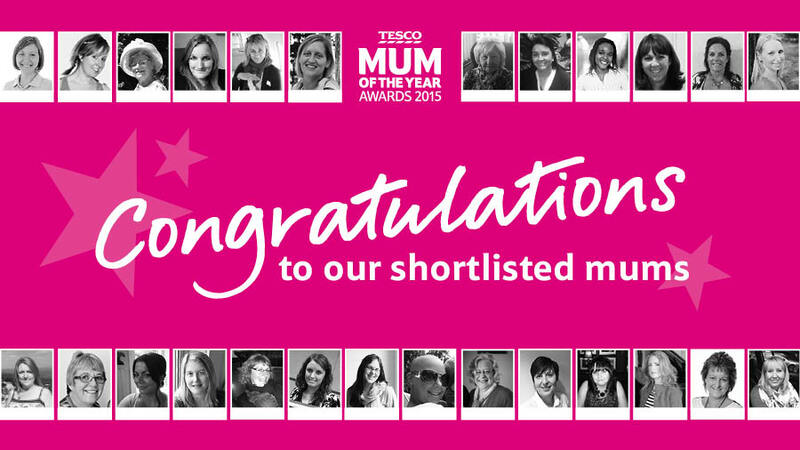 The 26 shortlisted mums are truly inspirational, and we would like to wish them all good luck. We are sure you’re as proud of Naomi as we are! For a full list of those shortlisted please click here. We were excited to be announced as the “Charity of the Year” for the Fields of Sidmouth department store – it is fantastic to have the support of so may local businesses and organisations and we are, as always, eternally grateful that so many people are dedicated to raising money and awareness for our foundation. Please visit www.fieldsofsidmouth.co.uk if you wish to learn more about our latest supporter. Have you entered the Bristol and Somerset Wedding Awards? If you are a wedding supplier based in the South West, be sure to register for The Bristol and Somerset Wedding Awards today – entering the awards is absolutely free, and you’ll be in some fantastic company! Prior to the organisation of this year’s awards, there was no way to celebrate the achievements of south westerly wedding suppliers – a huge shame, as we have met, and worked with, so many fantastic companies. The Bristol and Somerset Wedding Awards aim to change all of that though, and we are so excited to be able to share your successes with you. The awards are open to any wedding supplier operating within the South West; from florists to photographers, men’s formal hire to vehicles, and bakers to musicians. There is even a category for Best Wedding Blogger, so every inch of the wedding industry can be celebrated. To register your company for the awards, please click here – be sure to tell all of your couples that you have entered, as voting is now open. The Awards will once again be supporting the Wedding Wishing Well Foundation, having raised a fantastic £1,600 for the charity at this year’s event. To qualify for The Bristol and Somerset Wedding Awards, your business must be based in the South West, with a postcode including a BS, BA, or TA prefix. Also eligible are businesses with the Southern Gloucestershire postcodes beginning GL8, GL9, GL12, and GL13. Voting is only open to clients whose weddings fall between the 1st January, 2014, and 31st December, 2014, and their nuptials must have taken place before they vote. Only one vote per ISP address will be counted. Next year’s award ceremony will take place on the 27th February, and will be held at The Bristol Hotel, Bristol. Tickets are currently available for just £40 per person, although this Early Bird offer expires on 31st October 2014. After this date tickets will cost £50 – a fantastic price for what promises to be an amazing evening. This year, organisers are also selling VIP tickets, at a cost of £60, which will include a private pre-dinner reception, with canapés, drinks, and goodie bags, as well as a full evening’s entertainment with a DJ, and tasty, 3-course gourmet meal and table wine. To buy your ticket today, please click here. All information about these fantastic awards can be found on www.bristolandsomersetweddingawards.co.uk. 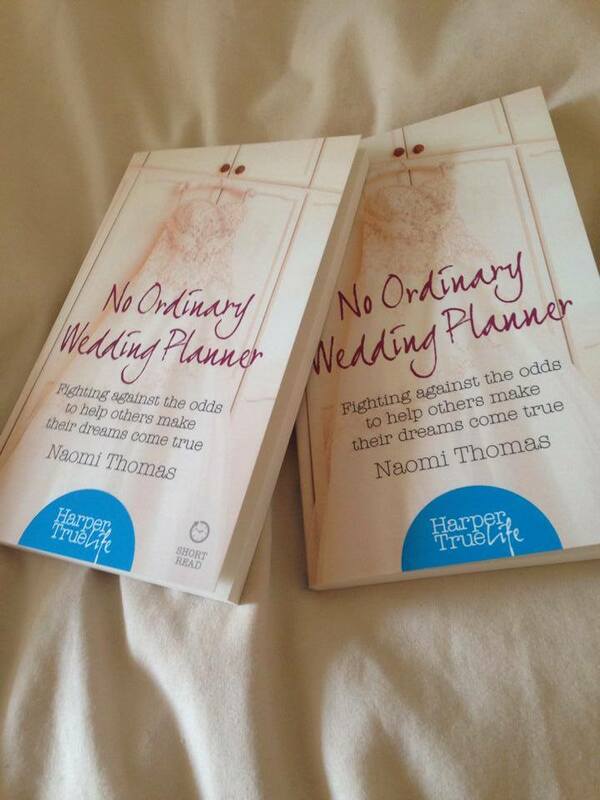 This is a reminder that the paperback edition of Naomi’s book, No Ordinary Wedding Planner, is now available to buy for just £4.99. Still receiving 5* reviews from those who have bought, and loved, the book, No Ordinary Wedding Planner is the perfect way to spend a chilly, Autumnal evening. Wrap up warm, close the curtains, and enjoy a cup of tea while you read this inspiring and emotional story. The book is available via Amazon.co.uk. Signed copies can be purchased directly from The Wedding Wishing Well Foundation for just £4.99, plus £2.20 p&p. Please visit their shop today. We are delighted to announce that The Broadstreet Blokes and Belles charity calendars are now on sale, with all proceeds being donated to The Wedding Wishing Well Foundation. Featuring staff members, past and present, and regular patrons, the calendars are a cheeky way to raise a little money, as well as being utterly brilliant. There’s no better way to see in each new month! The calendars can be purchased online here, or directly from The Squire Inn in Chipping Sodbury, The Bell at Old Sodbury, and The Swan Inn at Nibley. Each calendar costs just £7.50 – why not purchase both?! The Wedding Wishing Well Foundation has recently become involved with Give a Car, an initiative that allows you to donate the proceeds from your scrapped or auctioned car to your favourite charities. Give a Car will even pick up your vehicle for you – you can’t say fairer than that! If you’re looking for a new car, and are wondering what to do with your current vehicle, please give this not-for-profit organisation a look. If you love shopping online, we strongly suggest that you give Every Click a look, and ‘Give as you live’. It’s quick and easy to register – not to mention free – and will allow you to donate to The Wedding Wishing Well Foundation every time you shop online. You don’t even need to log in each time you go on a shopping spree – simple! What’s more, the donation will come from the place you shop and not your own pocket, so you can shop with ease. Retailers such as Argos, Ebay, The ELC, John Lewis, and Amazon – plus many more – are involved. Go on, and shop happy. There are so many events coming up – let’s hope we cram them all in here! Involving a 13-mile hike around some of London’s most haunted spots, the Halloween Hike is one of the scariest, but most fulfilling, ways to spend your All Hallows’ Eve, allowing you to raise money for your favourite charity while having an absolute blast. All ages and abilities are welcome – the scarier the fancy dress the better! Registration costs just £45 and includes entertainment and hospitality, free snacks, water, and energy drinks throughout the walk; a tasty cooked breakfast at the end of the walk, and a route fully supported by signage, route cards, and medics. There are still places left, so be sure to sign up here today. 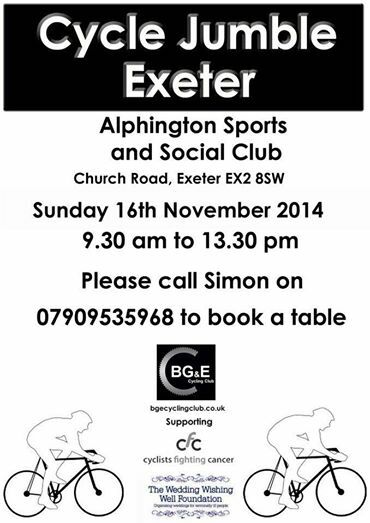 Sunday 16th November sees a fabulous Cycle Jumble Sale taking place at Alphington Sports and Social Club in Exeter, with donations being made to The Wedding Wishing Well Foundation. Running from 9.30am until 1.30pm, the sale will feature a number of cycle-related items and accessories, all fairly priced. There’s never been a better excuse to get your cycle on! Speaking of cycling, now is the time to register your interest in the British Heart Foundation London to Brighton Bike Ride 2015. If you love to cycle and want to combine your passion with raising a few pounds, be sure to sign up as spaces are limited – registration costs just £40 per adult. Covering 54 miles from Clapham Common, London, to Madeira Drive, Brighton, this popular cycle will take place during June 2015, although an exact date has yet to be confirmed. We’ll keep you posted!